Finding a quality hosting company is not only important for security, but to keep your site up and running when influxes in traffic come to your website. These hosting companies maintain all the files for your site, while also providing support in case anything goes wrong, like during the event of a hacker attack, or when you need to backup your site content. Hosting is essential for serious bloggers and website owners, but what about those companies that sell hosting as a product? What Should A Hosting Website Include? Although a hosting company may complete their own hosting in-house, they still require a website to show off services, packages and why their hosting is better than the competition. In addition, hosting businesses may even want support pages, forums, contact forms and anything else that ensures their customers are having a good experience while on the site. With an ever-increasing number of websites created on a daily basis, there has never been a better time to start your own hosting company. In fact, many established web hosts offer reseller plans so you can easily sign up for one and sell hosting services from the comfort of your own home. All it takes is a beautiful theme to advertise your plans. The internet is filled with hosting WordPress themes, so we took the opportunity to put together a list of the best solutions. Keep reading to learn more about what hosting themes can do for your company, along with our suggestions for the top solutions. 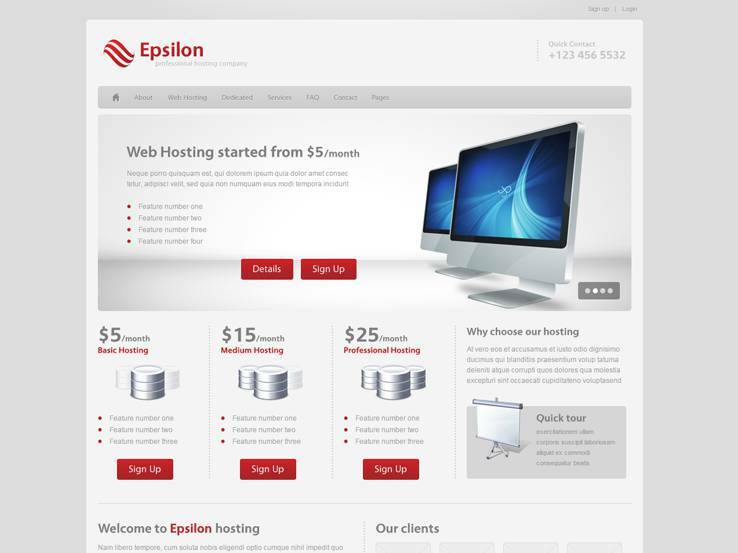 The Epsilon theme is designed primarily for hosting companies, but it can also be used for any type of business. If you do run a hosting company, you can select the hosting layout, which is completely different from the business layout. The elegant design gives off a professional look and feel and the fully working contact form is ideal for making it easier for your customers to contact you. The theme also includes a 10-page HTML file is a nice touch which along with 12 layered PSD files ensures that you can customize the theme however you want. Documentation files are included, along with CSS and JS files to make modifications easy. The primary homepage slider features overlaying text and buttons to show a brief description of your company or drive traffic to your sales pages. Display a lineup of your hosting plans, with benefits, features, and sign up buttons. The Epsilon theme has various widgets which you can add in the footer and sidebar. Easily add links to your documentation and help files, social media links, and more. Along with quick contact information, a logo upload area, and a module for showcasing your clients, the Epsilon theme is certainly a solid theme to look into. Arka Host bills itself as the ultimate hosting theme, and with good reason, since it’s a responsive theme that includes a domain checker to help people figure out if the domain they want is available. The Visual Composer plugin is included, meaning that you can design your website by simply dragging and dropping elements onto your pages. You also get the Revolution Slider plugin, which is another premium plugin included for free. Revolution slider uses wonderful animations and overlaying items to help you showcase anything from specials to events. Six layouts are provided to choose from and you can even import all demo content with a click of the button. You can also add an online store to your website thanks to the integration with WooCommerce. Manage your products and accept payments without having to build your own eCommerce site from scratch. The theme includes 12 predefined color schemes which are a nice starting point for your design but you can easily change them to incorporate your own brand. 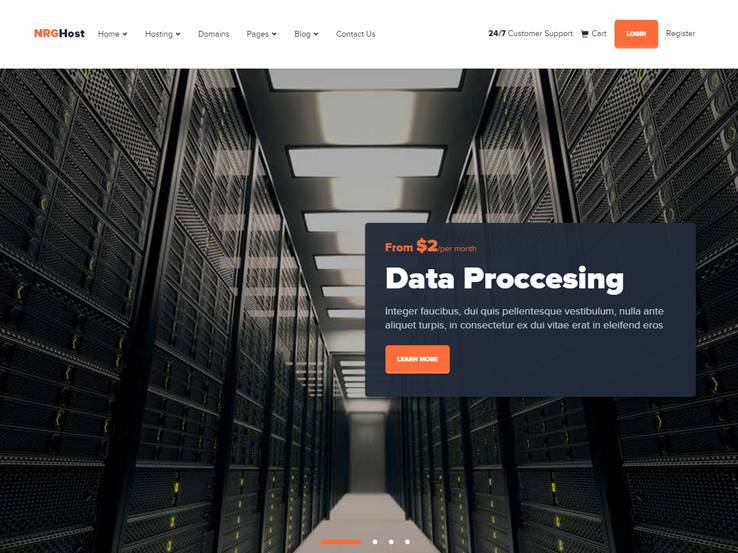 Along with a fully responsive layout, 100 different page sections, and customizable typography, you can’t go wrong with the Arka Host hosting theme. Consider the Cloud WordPress theme if you’re looking for a highly customizable and modern take on a hosting website. Cloud offers a responsive layout which looks and works great even on mobile devices. 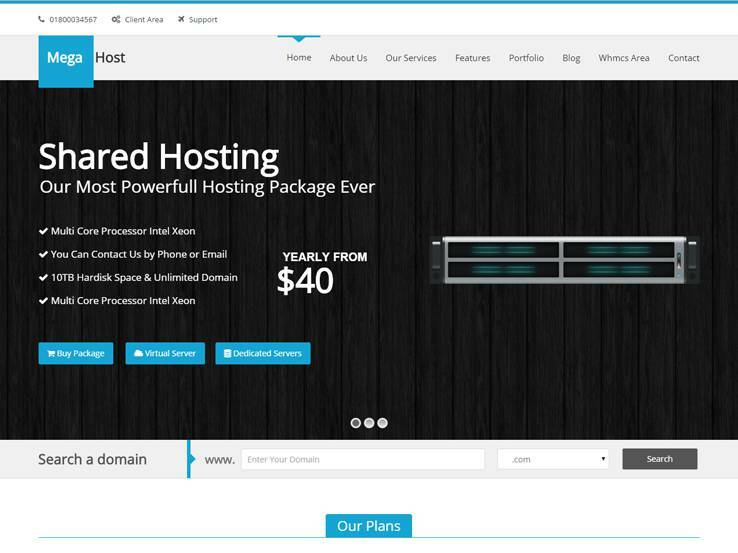 The theme offers a pricing table creator so you can easily share different hosting plans and prices. The animated slider works wonders for sharing new plans and products since it includes buttons, animations, and images which drive the attention of your visitors to your sales pages. Several built-in page layouts allow you to quickly implement pages for About Us information, Solutions, and Pricing. 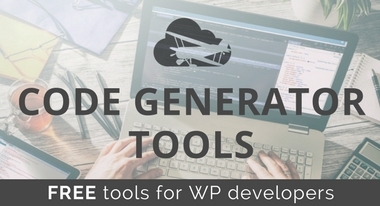 Import your own demo content with the click of a button and use sidebars to add various widgets with additional information. The contact form is completely customizable and shortcodes allow you to quickly add anything from toggles to maps. The entire theme is white labeled so you can implement your own branding and the translation features allow you to translate the website into any other language. 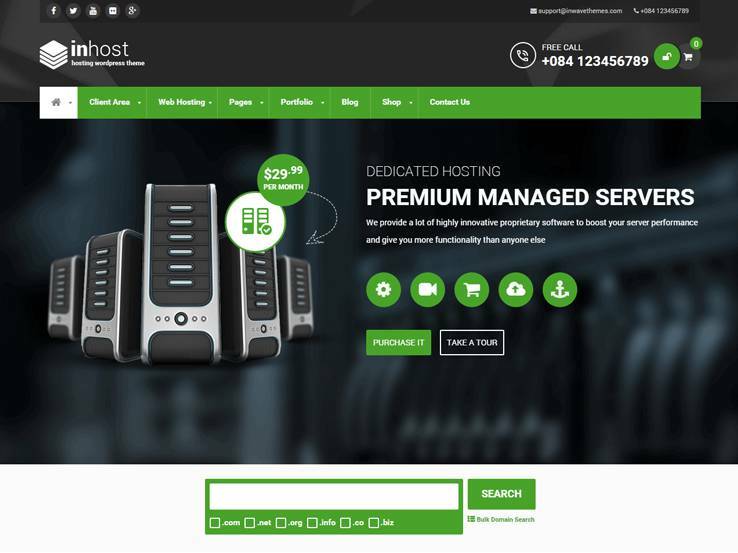 The Hosting24 theme has a responsive design, along with a fully editable frontend, all of which is managed through the admin area. Custom post types and formats include items for videos, links, quotes, audio, and more. 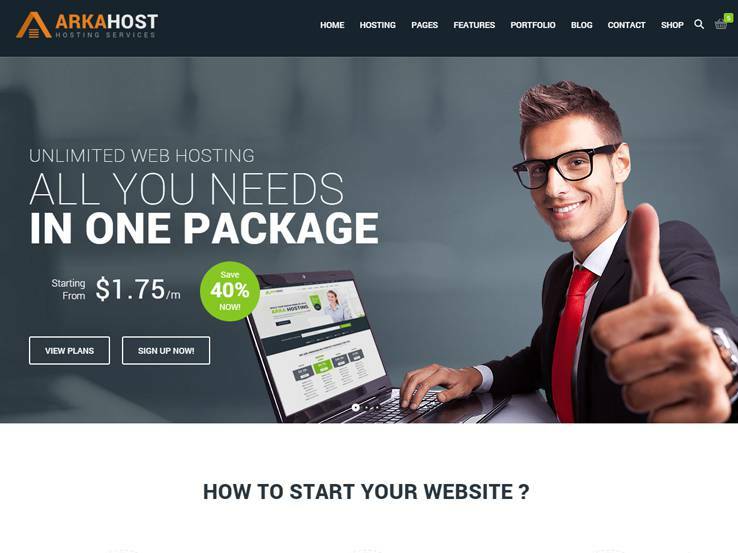 The Hosting24 theme is multilingual ready, allowing you to display your website in any language you want. 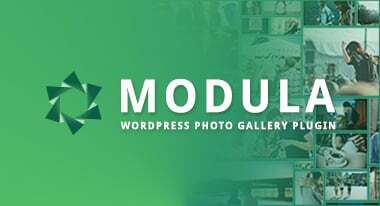 Over 80 shortcodes are included with the Hosting24 theme which allow you to create complex modules without having to know any code. Some of the shortcodes are for columns, audio, buttons, and more. 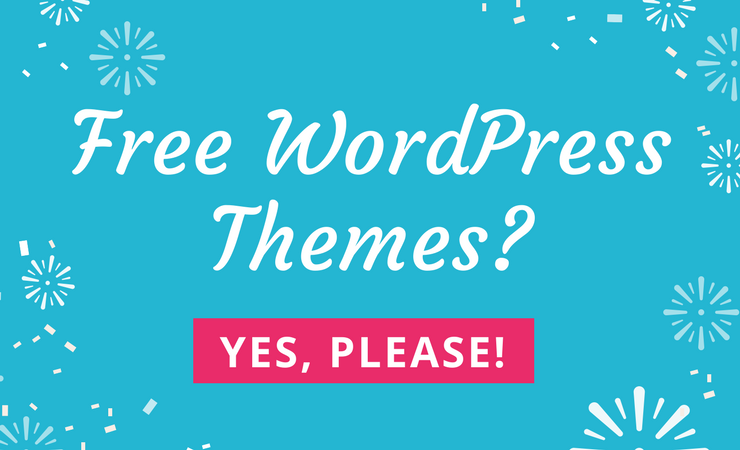 The two-step installation offers one of the fastest ways to install the theme and multiple color options allow you to easily incorporate your own brand. Customize your own typography with over 600 Google Fonts and use the beautiful slider to share your images and feature upcoming events or recent news. The theme provides a filterable portfolio and it also has custom widgets for social sharing and comments. The NRGHost WordPress theme is a creative, clean, and modern hosting theme that fits right in with the WordPress system. The design is completely responsive and it integrates well with WooCommerce, meaning that your company can make additional money by selling digital or physical products. Unlimited colors are nice for branding your website and premium exclusive sliders are everything you need to post banners about promotions, news, events, and more. This is a fully customizable theme and it has several videos included which help you set up the theme the right way. Three different homepages are available as well as custom page templates suitable for hosting companies. They include shared hosting, managed hosting, classic hosting, dedicated hosting, and VPS hosting. The page builder allows you to easily create unique page layouts and the FontAwesome icons add extra visual appeal to your website and allow you to highlgiht certain elements on your website. The Inhost theme focuses primarily on the hosting companies and it offers Visual Composer plugin so you can quickly add various modules to all of your pages without knowing a line of code. The theme also includes Slider Revolution plugin, perfect for drawing customers in when they land on your homepage. 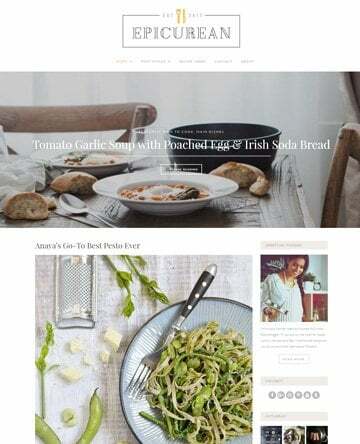 On top of those premium plugins, the Inhost theme integrates with the WooCommerce plugin which is perfect for those hosting companies that want to sell items through the website. 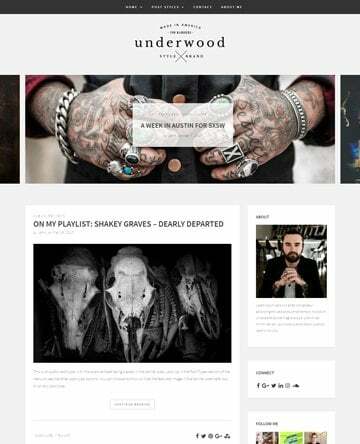 This is a completely responsive theme that looks great even on mobile devices. The demo importer ensures you never start your design from a blank slate and six different homepage layouts help you find the ideal look. Powerful theme options allow you to change colors, implement custom headers and change logos without touching a line of code. The standout feature is the domain checker, which is generally a must have for all hosting companies that also sell domain names. Over 40 content blocks are integrated with the theme, allowing you to add elements such as pricing tables, promotional banners, ads, and testimonials. On top of that, tons of shortcodes are provided, helping you add buttons and columns without getting your hands dirty with source code. 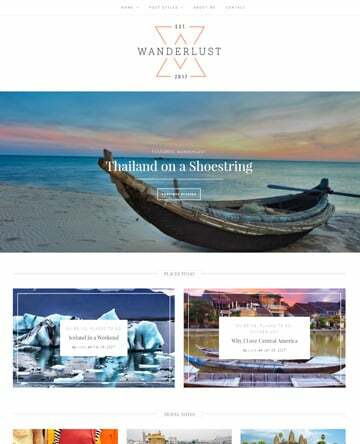 The Alaska WordPress theme is primarily for hosting companies and it comes with WooCommerce integration so you can easily start selling eBooks or training packages. The theme also includes Visual Composer plugin which is a great way for complete beginners to create a visually appealing website. Alaska is a responsive theme, so it looks nice on all devices. WHMCS is provided with the theme, which is a complete client management solution. A powerful set of shortcodes assist with adding anything from sliders to pricing tables and powerful theme options allow you to customize every aspect of your website. Use the mega menu if you plan on having numerous pages on your site and consider using a video to introduce your company to potential customers. In addition to that, the parallax effects add visual appeal to your website and highlight your content. Alaska provides a portfolio post type if you’d like to show your past work to larger clients and three pricing table options share how much your services are worth. Some of the eight post formats include video, audio, and gallery. Finally, combine the FontAwesome icons with the Google fonts highlight certain sections of your website. 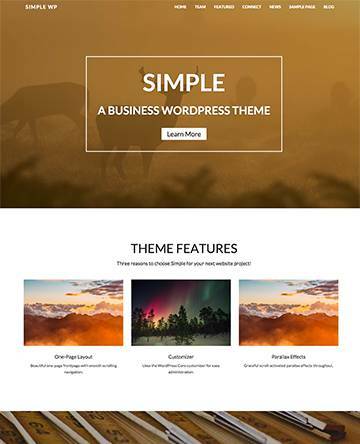 The Megahost WordPress theme is built primarily for hosting companies and it provides eight skins to get you started. The theme includes three different layouts, while the 26 different background patterns are a great way to add some visuals to your site. Various integrations are available with the Megahost theme. You can add a contact form with the Contact Form 7 plugin, and Revolution Slider is there to help you grab the attention of your visitors and feature your best-selling hosting packages. The WP Google Maps plugin is also a necessity if you would like to show people where your offices are located. With unlimited sidebars and plenty of widgets, you shouldn’t have any problems to add additional content to your website. 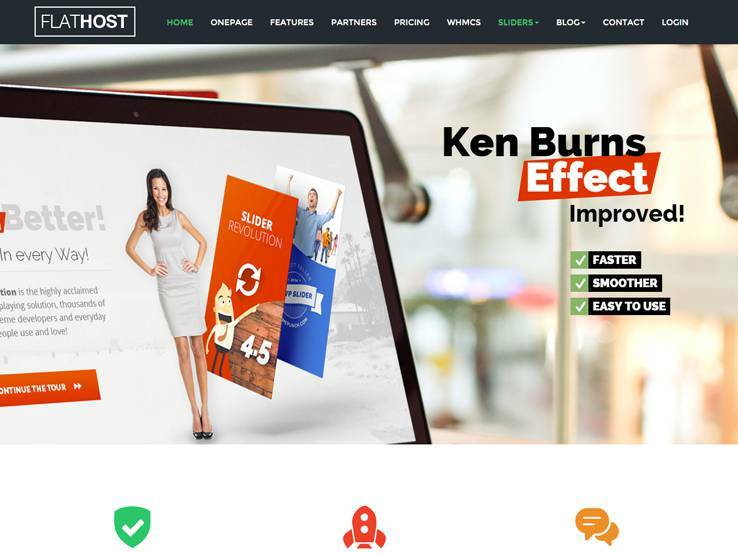 The homepage includes a beautiful header with overlaying text and buttons which is the perfect spot to include calls to action to increase your conversion rate. This is a responsive theme which includes a portfolio for sharing images or projects you have worked on in the past. 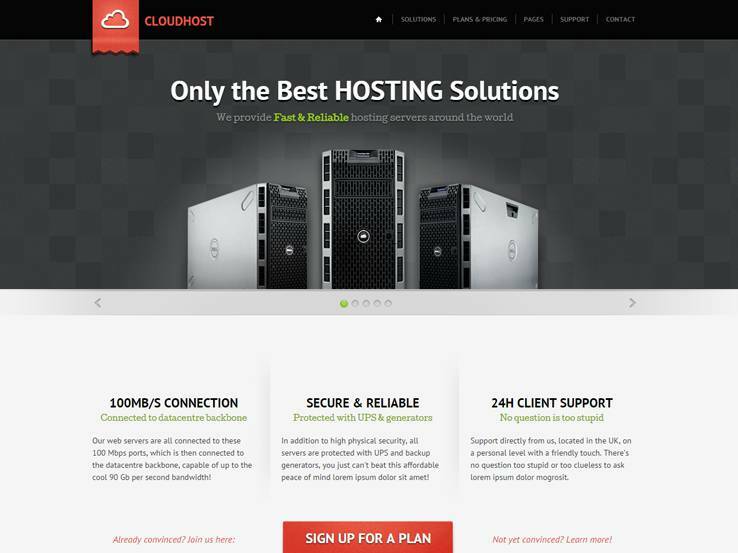 Many hosting companies use the portfolio to show off some of their bigger clients. The parallax sections add creativity without slowing down your site, while the FontAwesome Icons are wonderful for highlighting your services and plans with some visuals. Post reviews and testimonials of your hosting services and link up to the WooCommerce plugin to quickly collect payments when people decide on a certain plan. 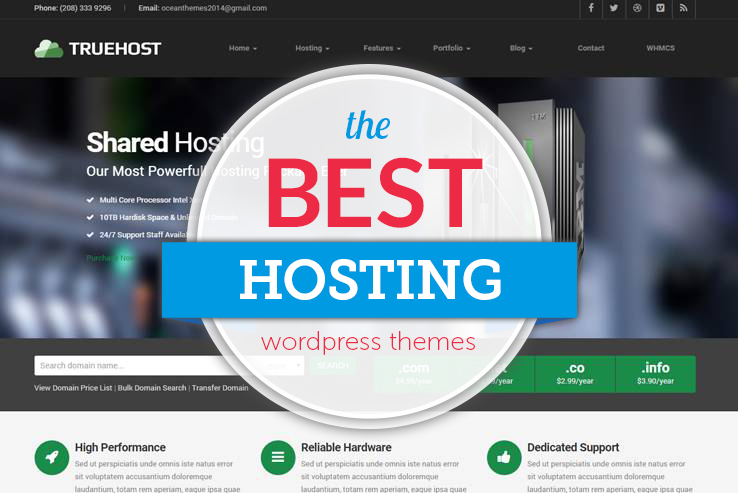 Overall, the Megahost WordPress theme is a favorite for all hosting companies. FlatHost offers a responsive design for your hosting site and it has various CSS3 animations which add visual appeal to your website. The Google Fonts allow you to easily customize your fonts while the PSD files are handy for advanced developers to make more advanced changes to the design. A drag-and-drop page builder is offered on the backend, which comes in handy for both beginners and advanced users. A domain search form can be placed on the homepage, allowing users to figure out whether or not their domain is available. If you’d like to have a live chat module for talking to customers, the Zopim chat system fits well with this theme. Custom widgets are easy to customize while the translation files make it easy to translate your entire website. You can also use FontAwesome icons to highlight different hosting plans. Choose from a one-page or multi-page layout, and import demo content so you don’t have to start from scratch with your design. The header has overlaying text and buttons, which lead potential customers to your pricing and plans. The testimonials section allows you to share testimonials from happy customers which helps you build social proof. The pricing table is simple to manipulate and you can have various plans with different features. There’s even a plan comparison tool to make it easier for potential customers to choose the best plan for their website. Along with a contact form and responsive design, the FlatHost WordPress theme should be a theme to keep in mind. The HostChilly WordPress theme is a great choice for any hosting company in need of a theme for their website. The theme provides four homepages and it has a responsive which looks great no matter which device your visitors are using. Choose from an unlimited number of colors to effortlessly incorporate your own brand. The theme includes customer support should you need any help and it also includes a variety of different elements. You get four headers, three mega menus, four pricing tables, eight footers and nine featured styles. A drag-and-drop page builder is included with the HostChilly WordPress theme which makes it easy to create custom layouts without the need for any coding. Mega menus are included as well, which can come in handy for hosting companies that offer a wide range of services. The slider has overlaying text and buttons which allow you to create beautiful calls to action and send people to your most popular landing pages. The coolest part is that the theme offers a nice module for letting people look up their domains. They can also transfer over domains or see if they can pay for one that is already owned. Quite a few pricing sections are included which allows you to clearly display different pricing plans and their respective features. Along with icons, testimonials, and an FAQ, the HostChilly WordPress theme is a great choice. 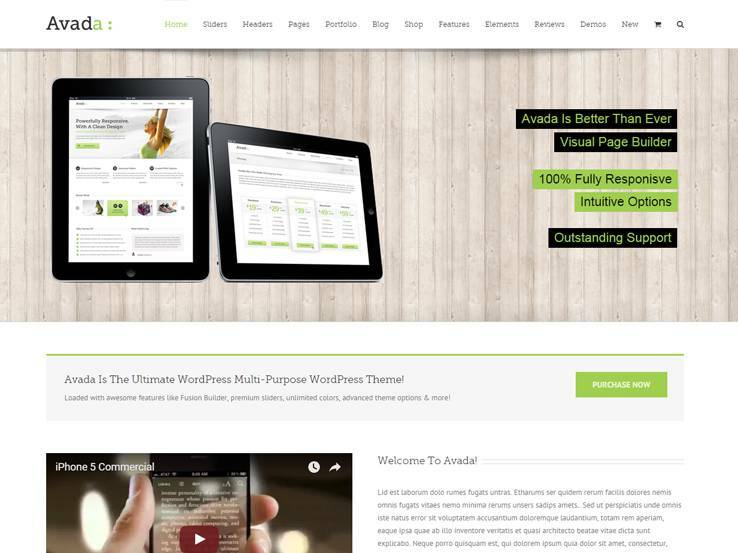 The Avada theme works well on all devices and it features a nice business layout for hosting companies. Avada integrates perfectly with the Events Calendar plugin so you can easily run specific promotions and hosting deals. You have total freedom to make whatever you want with Avada and the best part is that no coding is required. Another useful feature is that the demo content is included, meaning you don’t have to start from scratch with your design. Tons of layouts are included with the Avada theme but it has a dedicated hosting layout so you can easily create the website for your company. Avada offers a drag-and-drop page builder, which makes it easier for both beginners and advanced users to get websites up and running quickly. The theme even has a flat design with parallax elements for grabbing the attention of anyone who visits your website and adding visual appeal to your website. Add icons for your most popular social media pages and easily display hosting plan pricing and features. Along with several widgets, a search bar, testimonial support, and a full blog, you can’t go wrong with Avada. Great atricle! Thanks for this wonderful and useful sharing. I like your post. 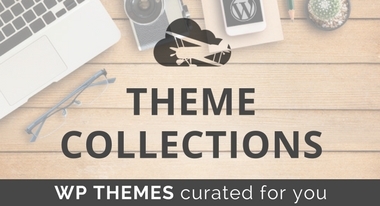 Such an incredible collection of WP themes. Thanks for sharing! Great Work. I have one more amazing name to be added in this list and that’s HostChilly. I’m using it from two months and it’s just amazing as it doesn’t require any coding knowledge. Would like to know about customization in EPsilon. Do we need to touch codes? Hi Ashley, \n\nIn this case, you’ll get the best information from the developer of the theme. I’d try submitting a sales question to them directly with your inquiry into customization.